Many, many people got a confusing surprise in their inbox Tuesday. An email from Amazon read "A gift is on its way." The message was accompanied by a crawling baby, and it kind of looked like a birth announcement. The message alerted the Amazon customer that someone had bought a present from their baby registry. Only, it would appear a vast majority of the recipients didn't have a baby registry and many didn't even have kids. It was fair to be concerned. Retailers store a whole lot of information about you, hoping to sell you things and predict your behaviors. Remember when Target predicted a teenager was pregnant based on her shopping habits? Yeah. It can get creepy. However, that kind of profiling doesn't appear to be what happened here. It seems like it was just an error since countless people sharing the email on social media aren't pregnant. The email clearly caused confusion and even led some to question if their partner was trying to tell them something in an indirect way. Just emailed my wife to find out if she was pregnant. I figured better than even chance Amazon knew before I did. Some people even had a registry and found the link in the email did go to their registry, but that nothing had been purchased. Most who got the email report the sender is an Amazon address and not a third party. They also say the links go directly to the Amazon website. However, if you received the email, it may be wise to refrain from clicking anything until it's confirmed this isn't a clever phishing attempt. We have reached out to Amazon for clarification, but a customer service rep says the email was sent in error and that customer are getting a follow-up email to let them know what happened. You can go to bed knowing that Amazon doesn't have some secret machine that can see into your future. Probably. 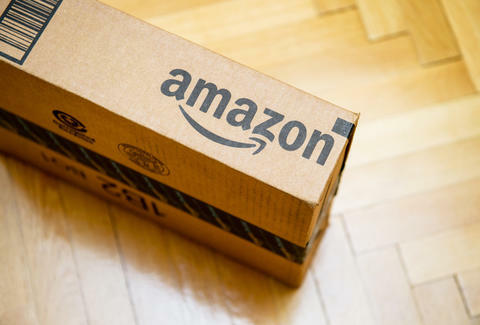 An Amazon Spokesperson tells Thrillist, "We are notifying affected customers. A technical glitch caused us to inadvertently send a gift alert e-mail earlier today. We apologize for any confusion this may have caused."